Diverging on a city known just as much for its diversity as for its nightlife, the nu-soul element of nearly two years, Relatiiv speaks on empowerment realized through pain in their R&B inspired single "Bad Girl". A duo of Catalan-German variety, their dimly-lit basslines, Dilla-esque beats and genuine lyrical messaging carve their niche in the vast landscape of Berlin electronic music. Their last single "Places" gathered over 75k+ streams on Spotify (100k+ on all platforms) just shortly after release helping them land some shows in both Germany and Italy during 2018. Not a bad result for how long they've been together. 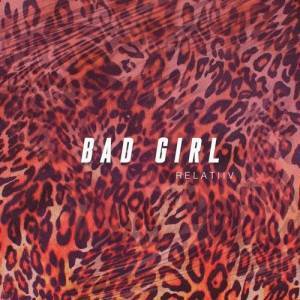 Keep your ears tuned-in to Relatiiv and stream "Bad Girl" on Youtube and on Spotify.